Everyone loves an underdog, and new TSG 1899 Hoffenheim head coach Julian Nagelsmann is most certainly that. Not only is the 28-year-old the youngest head coach in Bundesliga history, but he also has the uneviable task of keeping a Hoffenheim side already seven points adrift of outright safety above the waterline. "My priority is to keep us in the Bundesliga," Nagelsmann told media at his official unveiling on Friday, following Huub Stevens' unforeseen resignation due to health problems 48 hours earlier. "The team was fully motivated in their first training session and I'm impressed with what I have seen. The team's strong defensively. Now it's about strengthening the attack." For one so young, at least in coaching terms, the Bundesliga neophyte negotiated journalists' probing questions with expert proficiency. He brushed off comparisons with one of football's most respected tacticians - retired Germany international goalkeeper Tim Wiese once referred to him as 'Baby Mourinho' - and reminded those in attendance that age, as the saying goes, is just a number. "I don't know Jose Mourinho personally, but I'm no baby at 28," he said with a smile. "It's nice to hear the name in the press, but I don't have much in common with those two names. A lot's been said about my age, but my job is the same as that of any other coach in the Bundesliga: namely to train the players and win games." First on the agenda is a testing trip to relegation play-off incumbents SV Werder Bremen. With five points separating the two sides in the , Nagelsmann could not have been thrown in much deeper as he prepares to harness the spirit of Stevens and pull off what may turn out to be the greatest escape yet. Encouragingly, the battle-hardened Bavarian has survived the relegation wringer once before. 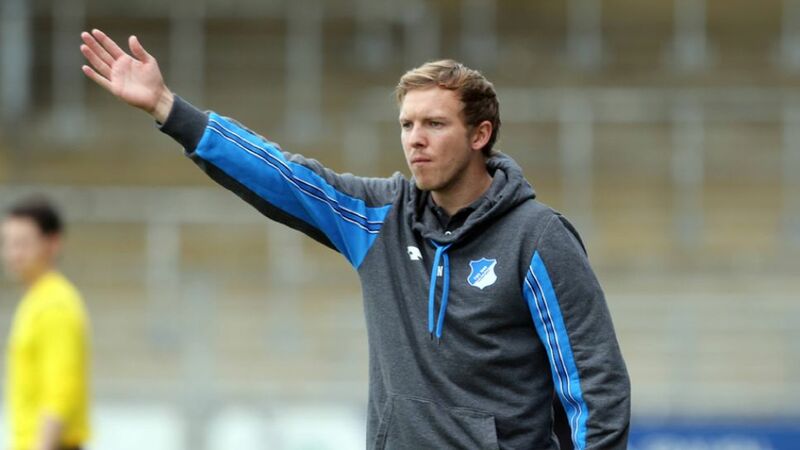 As assistant coach to Markus Gisdol in 2012/13, he helped mastermind a dramatic final-day win over Borussia Dortmund that sent Fortuna Düsseldorf down and Hoffenheim into the play-offs. One two-legged victory over 1. FC Kaiserslautern later, and Die Kraichgauer were safe. "Relegation battles are generally pretty similar," the former FC Augsburg reserves scout recalled. "The only difference is that back then I was just the assistant coach. Now I'm the head coach. We're coming from behind, we have to beat Bremen and to do that we have to score goals. I can't move walls in two days, but I'm convinced we can stay up and give the team a new impetus. We want to be playing in the Bundesliga next season."